He started out as a simple southern boy who grew up in a Christian home, but he never found himself to be curious about the faith. He grew up with what he would define as "Default Christianity", meaning that he would just label himself as a Christian, even though he continued to live whatever life he wanted. He only went to church because his friends did and he would only stick around for food, games and socializing without understanding the real benefits of church. By the age of 18, he would accept Jesus Christ into his heart on March 27, 2013. Since then, he's been deep into his studies. He is currently a Southern Baptist who holds to Reformed Theology. 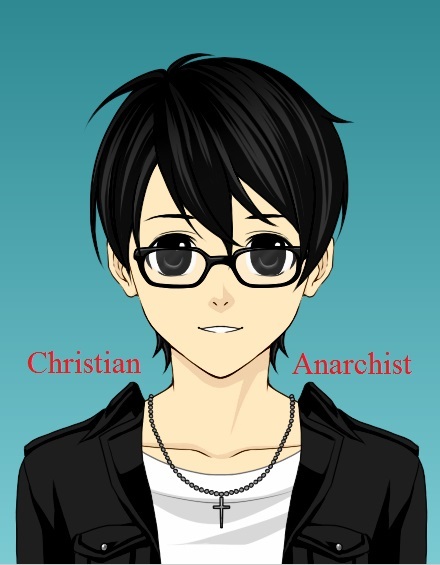 He likes metal, punk, worship and Christian Chant music. This moved me and it caused me to continue eating in silence. I thought about what he said and after lunch, I went to my room and I felt weird, still trying to ponder on those words. I eventually felt what I could only describe as a chilling yet eventual warm sensation that caused me to tear up without control. I only teared up like this twice in my life and I felt no sorrow, but merely had tears crawl down my face almost like a gentle waterfall in a fish pond. It then stopped after a couple seconds and I decided after the thinking, I would devote my life to Christ and I would finish watching that miniseries which helped me be more informed and led me to my Christian Faith. Since that day, I have been growing more in the faith and I always thank God for everything he has done for me since that day on March 27, 2013."